Alcohol is suspected in the crash, Hillsborough deputies said. 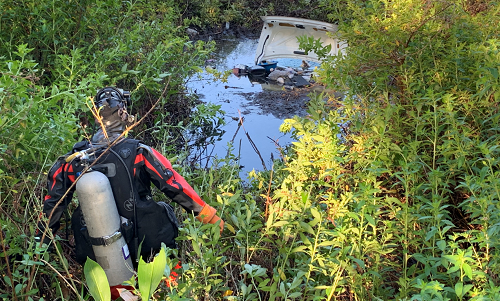 HILLSBOROUGH COUNTY – Divers pulled a man’s body from a car that had crashed into a retention pond, the Hillsborough County Sheriff’s Office said. Gustavo Bonifacio De La Cruz, 24, was found dead in the car. Hillsborough deputies said that about 3:41 a.m. Friday (March 15), Mr. De La Cruz was driving west on Prince Street West from Florida Avenue in a 1999 Honda Accord. He continued to drive through a closed, locked gate at the dead end of Prince Street West, crashing into a retention pond. 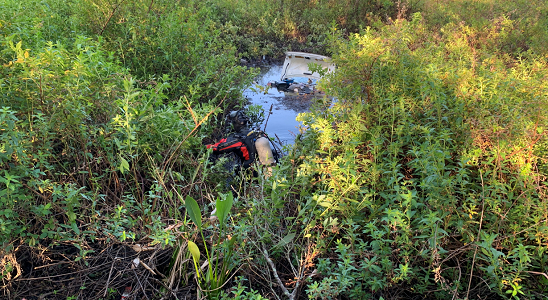 The car was discovered around 8:30 a.m. by a neighbor who saw the rear end of the Honda in the water and called 911. The sheriff’s dive team responded to help with the removal of the Accord and discovered Mr. De La Cruz’s body. Deputies located video surveillance for the incident. Alcohol is suspected.